Licensed in North Carolina and South Carolina. Click for a complete list of our Contractors Licenses. 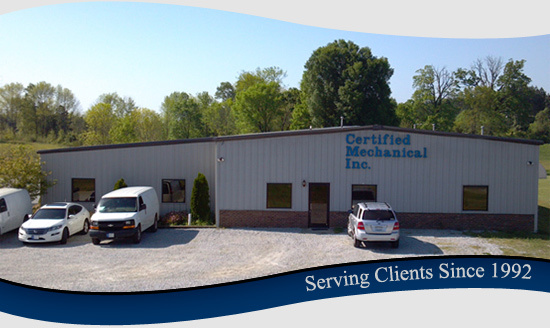 Certified Mechanical Inc. (CMI) is a single-source Automation & Controls, Mechanical, Electrical, HVAC, and Plumbing Service contractor. 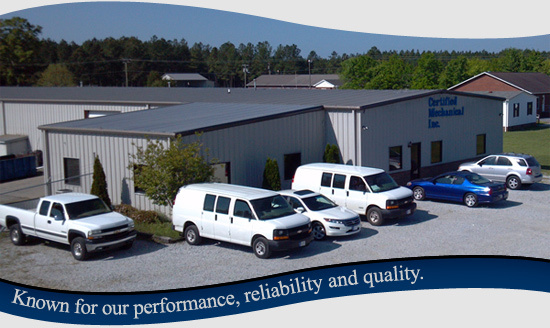 We are proud to say we have over 30 years of experience in Industrial, Commercial, and Critical Facility environments. CMI has established a lengthy history of successful projects with building owners, engineers, and general contractors. We strive to develop long-term relationships with our customers by offering a quality solution and unparalleled service at an equitable price. Our staff includes professionals with extensive experience as mechanical contractors in the HVAC, plumbing, service and automation industries. This allows us to better serve our ever growing list of clients. CMI has built a highly regarded reputation for performance, reliability, and quality because of our responsiveness to detail and comprehensive customer satisfaction. with experience in Industrial, Commercial, and Critical Facility environments bringing you quality solutions and quality products. Mechanical Contractors servicing North Carolina including Charlotte NC, Harrisburg NC, Matthews NC, Cleveland NC, Mt. Pleasant NC, Concord NC, Pineville NC. Mechanical Contractors servicing South Carolina including Fort Mill SC, Gaffney SC, Lancaster SC, Rock Hill SC, York SC, Spartanburg SC, Greenville SC, Columbia SC.